Two creepy, thrillers which make imaginative use of large typeface, speech bubbles (more scream bubbles really), and cartoony illustrations. They delighted one virtual non-reader who shared them with an adult helper. 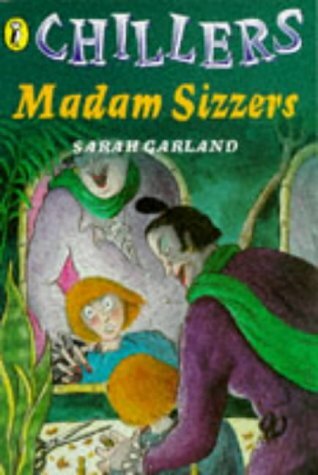 Madam Sizzers (a pity about the jokey spelling; all that money spent on spelling schemes too!) is about a hairdresser, complete with blood red nails. The twists and turns in the story had me guessing all the way through and I still hadn't worked out the importance of the necklace until the last few pages. Here at least everything came back to comforting normality. 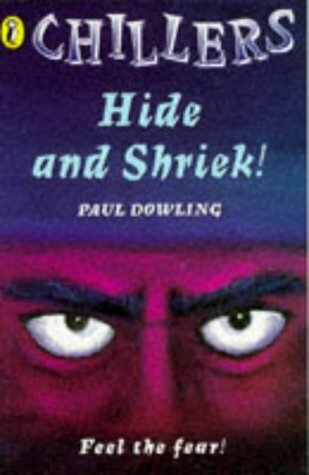 Hide and Shriek! revels in different sorts of print and speech bubbles; there are plenty of oohs, aahs and yeowchs. At first I enjoyed all the chasing and the creepy figure of The Man in the shadows; I then began to find it disquieting and I wondered how a sensitive, abused or insecure child would respond. It all turns out to be safe in the end of course. Most Dads are like that.